Subscribe to these photos with RSS. 710. 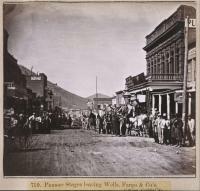 Pioneer Stages leaving Wells, Fargo & Co's, C Street, Virginia City. 709. 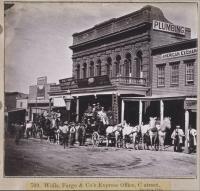 Wells, Fargo & Co's Express Office, C street, Virginia City. 708. 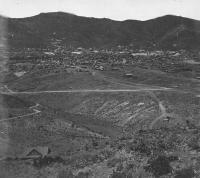 C Street, Virginia City - Cedar Hill in the distance. 707. 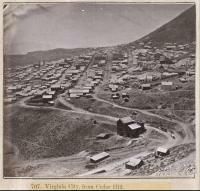 Virginia City, from Cedar Hill. 706. 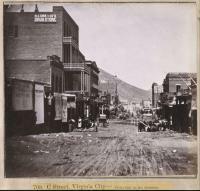 Virginia City. 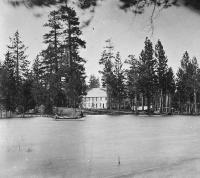 General view from the North. 705. 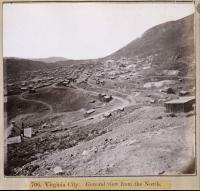 Virginia City, from the East. 704. 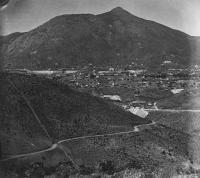 Virginia City, from the East - Mount Davidson. 703. Virginia City. 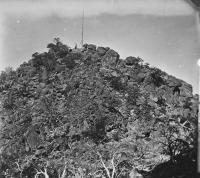 General view from the East. 702. 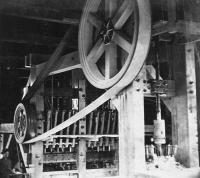 Interior of Buckeye Quartz Mill, Washoe City. 701. 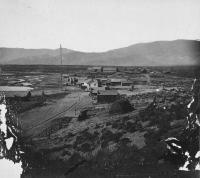 Empire City, looking toward Carson City. 700. 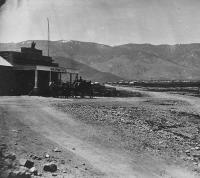 State Prison and Warm Springs, near Carson City. 699. 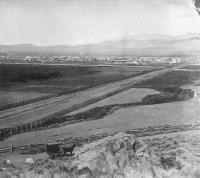 Carson City from the East. 698. 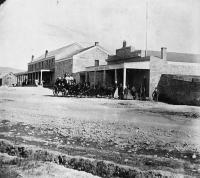 Wells, Fargo & Co's Express Office, Carson St., Carson City. 697. 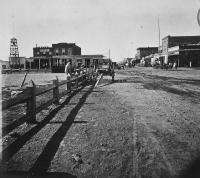 Carson Street, from the Plaza, Carson City. 696. 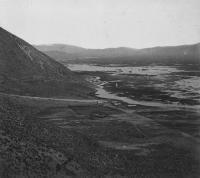 Carson City, from King's Canyon, road to Washoe. 695. 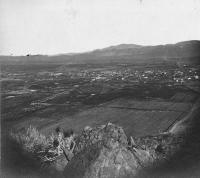 Carson City and Valley from the West. 694. 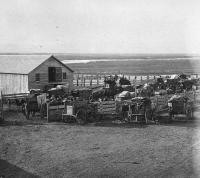 Van Sickle's Stable and Corral, Carson Valley. 693. 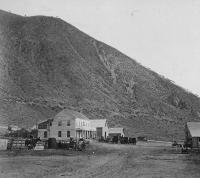 Van Sickle's Hotel, foot of the grade, Carson Valley. 692. 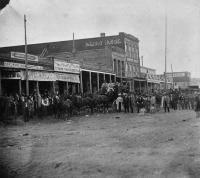 Carson Valley and Van Sickle's Hotel. 691. Photographing in the Sierra Nevada Mountains. 690. 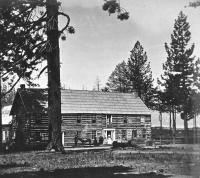 Swift's Station, Carson and Lake Bigler Road - Eastern Summit of Sierra Nevada Mountains. 689. Lake Tahoe. View from the Logan House - Eastern shore, looking North. 688. Lake Tahoe. 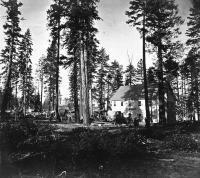 View from the Logan House - Eastern shore, looking South. 687. 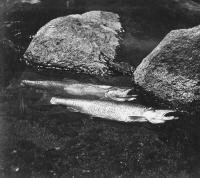 Lake Tahoe Trout, weighing from 10 to 20 pounds. 686. 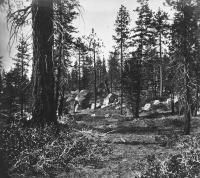 Scene in the Forest near Lake Tahoe. 685. View on the Eastern shore of Lake Tahoe. 684. Eastern shore of Lake Tahoe. 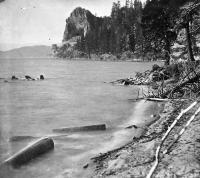 View from Rocky Point, looking South, toward Cave Rock. 683. 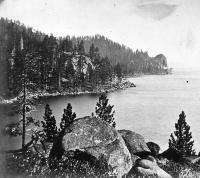 Eastern shore of Lake Tahoe - from Rocky Point, looking South, Sierra Rocks and Cave Rock in the distance. 682. 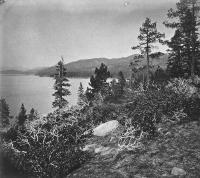 View from Sierra Rocks - Eastern shore of Lake Tahoe, looking North toward Rocky Point. 681. 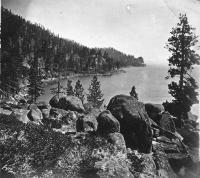 View from Sierra Rocks - Eastern shore of Lake Tahoe, looking South toward Cave Rock. 680. 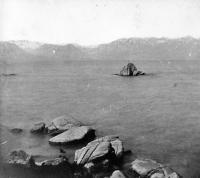 Cave Rock - Eastern shore of Lake Tahoe, From the North. 679. 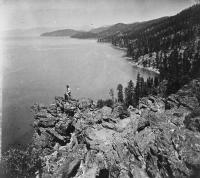 View from the top of Cave Rock - Eastern Shore of Lake Tahoe, looking North. 678. 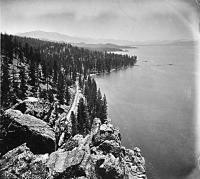 View from the top of Cave Rock - Eastern Shore of Lake Tahoe, looking South. 677. 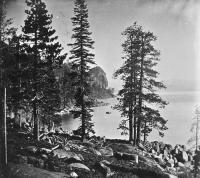 View of the Summit of Cave Rock, Lake Tahoe. 676. Cave Rock, Lake Tahoe. 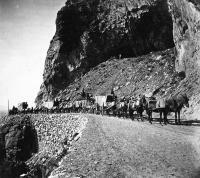 View from the Road. 675. 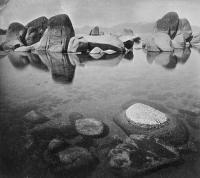 Cave Rock - Eastern Shore of Lake Tahoe, From the South. 673. View from Zephyr Cove, Lake Tahoe, Western Summit in the distance. 672. 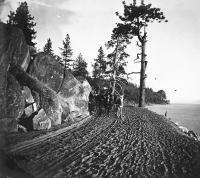 Zephyr Cove, Lake Tahoe, looking North. 671. Among the Rocks. 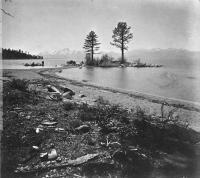 View from the shore, At Zephyr Cove, Lake Tahoe. 670. Among the Rocks. 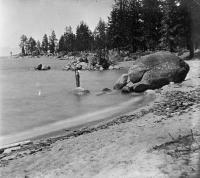 View from the shore, At Zephyr Cove, Lake Tahoe. 669. View of Western Summit, from Zephyr Cove, Lake Tahoe. 668. 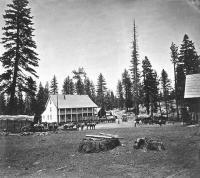 Zephyr Cove - Eastern shore Lake Tahoe. 667. 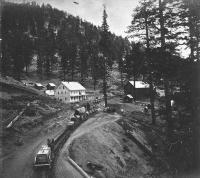 Zephyr Cove House - Eastern shore Lake Tahoe. 666. 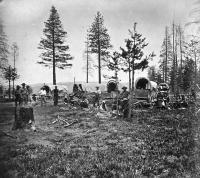 Camp of Mormons at Lake Tahoe, Emigrating to the Sandwich Islands. 665. 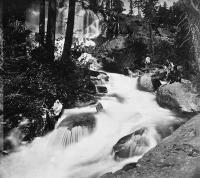 Eagle Falls - lower fall, Emerald Bay, Western Shore of Lake Tahoe. 664. 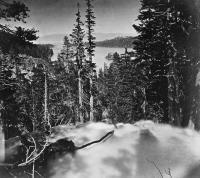 View of Emerald Bay, from top of Eagle Falls, Lake Tahoe. 663. 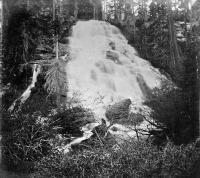 Upper Eagle Falls - Side view, Western Shore of Lake Tahoe. 662. 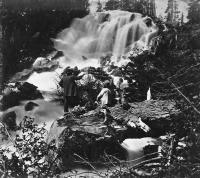 Scene at Eagle Falls, Emerald Bay. 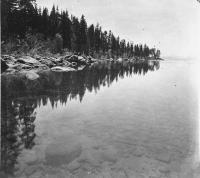 Western Shore of Lake Tahoe. 661. 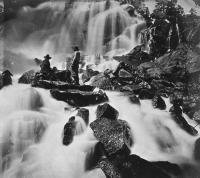 Eagle Falls - upper fall, Emerald Bay. 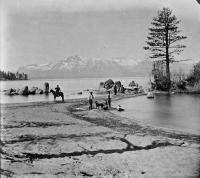 Western Shore of Lake Tahoe. 660. 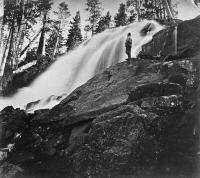 Eagle Falls - upper fall, Emerald Bay. 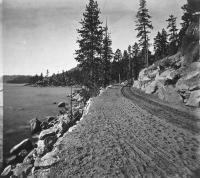 Western Shore of Lake Tahoe. 659. 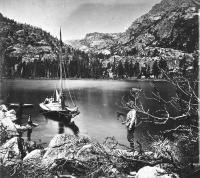 Eagle Canyon, from Eckley's Island, Emerald Bay. 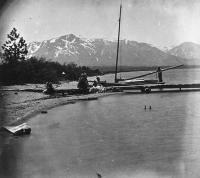 Western Shore of Lake Tahoe. 658. 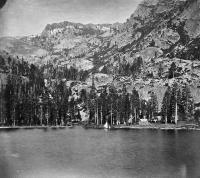 Eagle Canyon, from Eckley's Island, Emerald Bay. 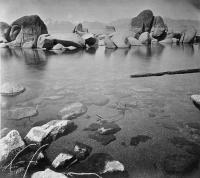 Western Shore of Lake Tahoe. 657. 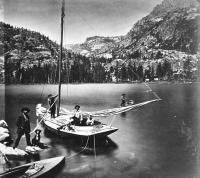 Eagle Canyon, from Eckley's Island, Emerald Bay. 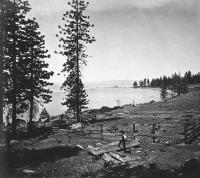 Western Shore of Lake Tahoe. 656. 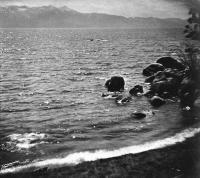 View on the Shore, at the Lake House, Lake Tahoe. 655. 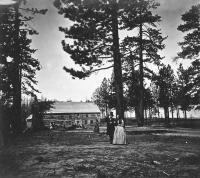 The Lake House, Lake Tahoe - from the Lake. 654. The Lake House, Lake Tahoe. 653. The Lake House, Lake Tahoe. 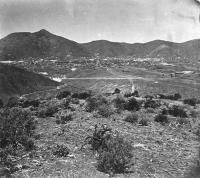 General view. 652. 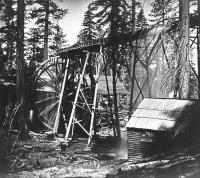 The Saw Mill. 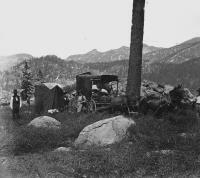 Scene in the Valley of Lake Tahoe. 651. Friday's Station, Valley of Lake Tahoe.